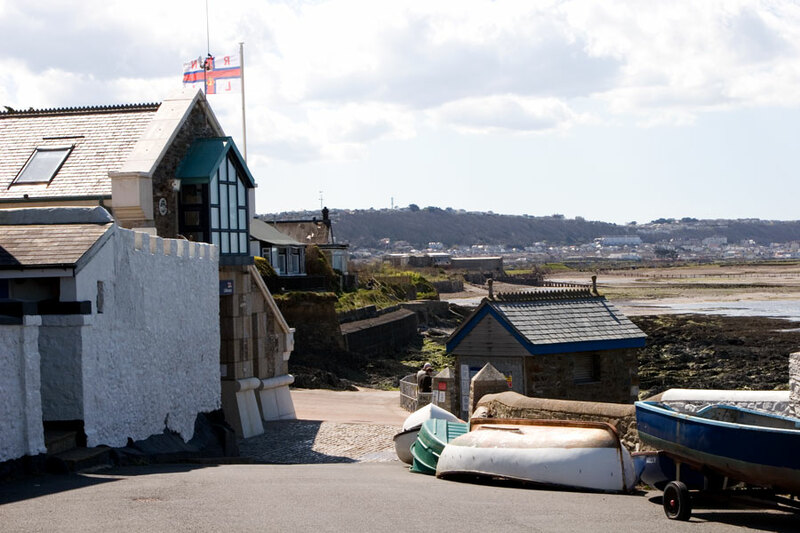 At the end of Appledore's Irsha Street is this slipway and RNLI station. Beyond are extensive marshy flatlands and tidal sand flats. In the distance is the resort town of Westward Ho!